Bees, Bats, Beetles and Birds! Spring is here – sort of! Soon, we will see flowers blooming and hear bugs buzzing. Our world will come to life with brightly colored flower petals and the sweet smells of nearby plants. Flowering plants not only look and smell wonderful, they also provide us with oxygen and produce delicious nectar – a sweet energy drink for many animals! Do you know which animals? We often call them “pests” or say they’re “bugging” us, but these animals have an important job to do and they are most efficient when they keep to themselves. We’re talking about pollinators! Plants and their pollinators have a very special relationship! Plants offer pollinators a valuable food source, while pollinators help spread pollen from flower to flower, creating more plants. Without pollinators, many of the plants we love to look at and eat wouldn’t be here. Let’s take a look at some of the pollinators you might see buzzing and flitting around Chicago! Did you know there are 7 different species of bats that call Chicago ‘home?’ These nocturnal, flying mammals love flowers that are white or pale in color, large, and have a strong, fruity smell. Bats drink the nectar from flowers, picking up pollen in their fuzzy fur. Check out the book, Good Night, Bat! Good Morning, Squirrel!, for a peek inside the life of a bat. Bees are pollinating champions! They need lots of energy to live and work in their hive, so they are constantly on the move searching for flowers. They have furry bodies and legs that work like Velcro, helping them carry pollen all over. Bees even have a special dance to direct their hivemates to nearby flowers! Check out the book, Bee Dance, to learn more. There are so many different types of beetles, both in Chicago and around the world. 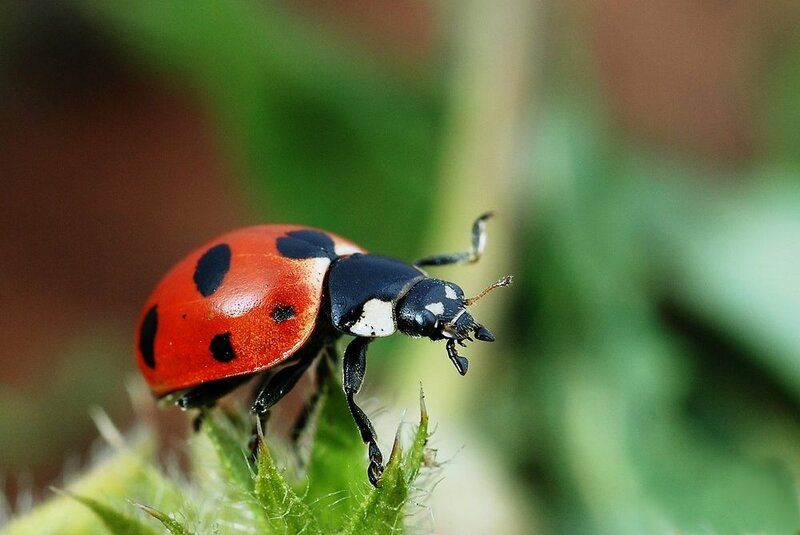 Ladybugs are a common beetle seen here, and they LOVE to drink nectar and eat pollen. They also like to munch on smaller garden pests. Check out the book, The Ladybug Race, for a sweet story about friendship! There are a long list of birds native to Chicago – but many of them help spread pollen. 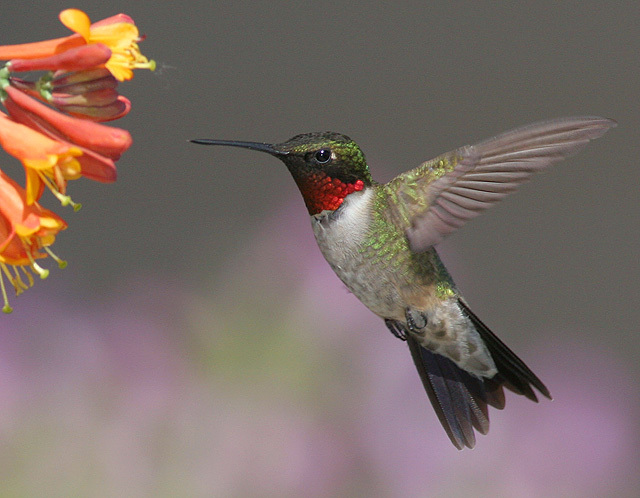 The Ruby-Throated Hummingbird loves flowers that are bright and open during the day. These tiny birds will use their long, tube-like beaks to sip nectar, and will sprinkle pollen as they fly! Birds have many jobs besides pollinating! Check out the book, Hooray for Birds, to learn more about how birds help us. 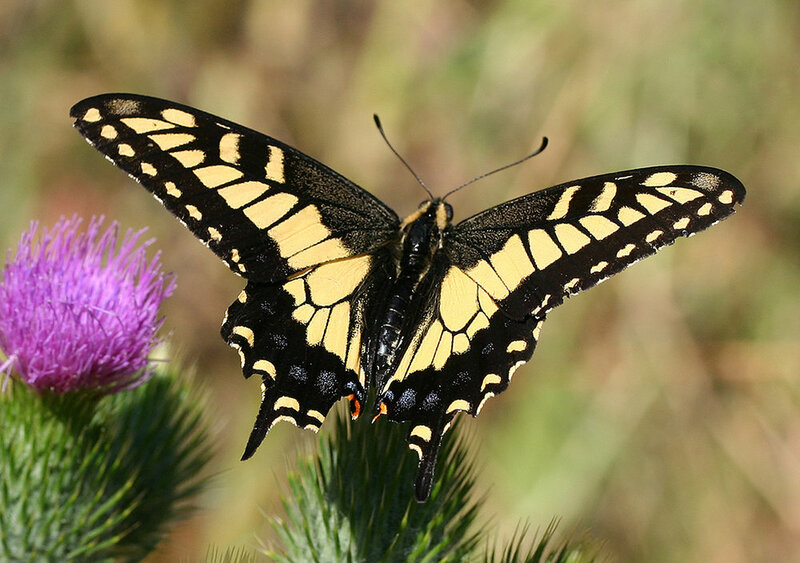 Both butterflies and moths love flowers that have wide, flat petals – perfect for landing! Lucky for flowers, these insects work around the clock. Butterflies search for nectar during the day, while moths are busy at night. Check out the book, Butterfly, Butterfly: A Book of Colors, for a colorful trip through the garden! Want to help pollinators be successful in their daily jobs? Check out this Lincoln Park Zoo article on insect hotels! And as you wait patiently for spring, don’t forget to keep an eye out for the pollinators mentioned above.